Are Conservative Irish-Americans Betraying Their Own? Are conservative Irish- Americans, including Sean Hannity, Bill O'Reilly and even your Radio Equalizer, betraying their own ancestors by "straying" from a "true Irish" set of political beliefs? Though you might think this kind of partisan sentiment had gone the way of Tammany Hall, sadly, the Irish- American- conservative- as- traitor rhetorical weapon is still used to this day. At our regional sister site, your Radio Equalizer has frequently been labeled a "self- hating mick" for daring to denounce a crooked former Irish politician (a convicted felon, no less) who now works as a radio talk show host. In addition, yours truly has been slammed many times for daring to support the "Yankee" (as in English Protestant) party, better known as the GOP. And at the New York Times, the concept of the irresponsible Irishman who abandons his own people to support the enemy has also been extended to present times. Why let this famine- era notion die when it can be used to slam the FOX News Channel? Every family, every ethnic group, every country needs a guiding narrative — sometimes more mythic than real. For the Irish, misery is our currency, and the key to all Irish story-telling. Thus we love the book about the most wretched Irish Catholic childhood — Frank McCourt’s “Angela’s Ashes” — because it solidifies our identity. It is only when the Irish forget about the underdog, as the keeper of the graves said, that they stray. In the 1930s, there was Father Charles Coughlin, a virulent anti-Semite who had a radio audience larger than that of Rush Limbaugh’s today. He used his microphone for hate. In the 1950s, another man with a link to Ireland, Senator Joseph McCarthy, twined ignorance and fear to make a mockery of congressional inquiry. Today, there are television bullies with Irish surnames on Fox, backing more tax cuts for hedge fund managers, and doing everything they can to keep the poorest of Americans from getting health care. Of course, thrown in for good measure is a quick connection between Father Coughlin and Rush, just to make sure the point about "hate" is hammered home. Eagle- eyed NYT critic Clay Waters was the first to notice the partisan rant by Timothy Egan and has more about his background here. Most interesting is the comments section below the Egan piece, where a few smug, Brussels- loving Europhile Dubliners are quick to point out the obvious differences between the "enlightened" citizens of today's Ireland, as opposed to the Neanderthals who left for America and are stuck in a backward era. Apparently, selling out one's sovereignty and culture in exchange for a few road-widening grants and agricultural subsidies is the "advanced" route. Never mind that much of Ireland's current prosperity came from emulating American- style free- market principles (in frequent defiance of the EU), as well as strong connections to Irish- Americans in Silicon Valley, who led the charge to build high- tech facilities on the Emerald Isle. 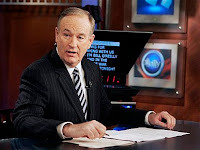 Instead of being sidetracked into a EU versus US debate, we ought to discuss why Hannity, O'Reilly, yours truly and millions of others should feel compelled to follow a partisan ideology on the sole basis of ethnic identity. Any Irish-American has betrayed himself, possibly beyond all redemption, the moment he becomes a "conservative". "Are conservative Irish- Americans, including Sean Hannity, Bill O'Reilly and even your Radio Equalizer, betraying their own ancestors by "straying" from a "true Irish" set of political beliefs?" As someone who actually possesses passports from both Eire and the USA, I can sit, happy and smuggy, assured that not one of the three people listed above has even a remote idea what "being Irish" means. Being in Boston makes you just as likely "Tony from the Southie" as a mick, Maloney. TRY TELLING THAT TO MY AUNT AND UNCLE WHO LIVE ON CAPE COD IN THE HEART OF KENNEDY NATION! Oh, and the uncle, served in the Army. Next time have more respect for yourself and this country before you go Jeremiah Wright on it! Or, in other words, the Irish are stuck on stupid? While not Irish surnamed, I am 3/4 of Irish descent, and I am proud that I am not restricted to being a "little guy", going through life as an underdog. Who cares about your damned relatives? See, that just shows how hopelessly wrong that shmuck is... "been there for the little guy?" Jayzus, Mary and Joseph! 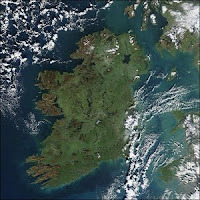 Ireland IS "the little guy." The thing about "the Irish" is that they ain't happy unless they're miserable. Don't believe me? Grab any album by the Chieftains, or even the brand new bonnie boy band being wallpapered across PBS stations during the current pledge session, "Celtic Thunder." At least half the songs are tales of woe.